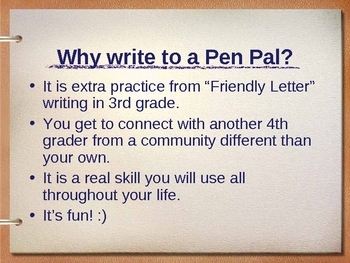 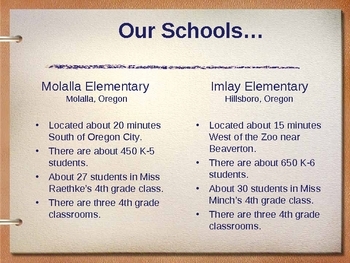 This is a power point we created to kick off pen-pals: a year long on-going writing activity. 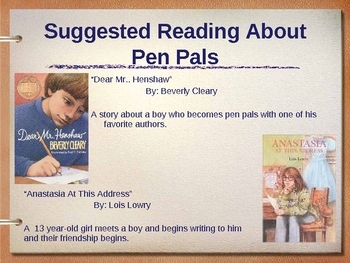 Included is a basic guideline, suggested reading material and also a read-aloud that correlates with introducing pen pals to intermediate students. 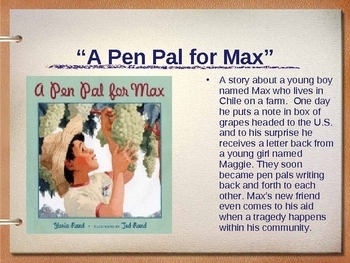 This is a memorable piece to our 4th grade class that brings writing to real life.